One of the favorite pieces by Lee&Lo customers! 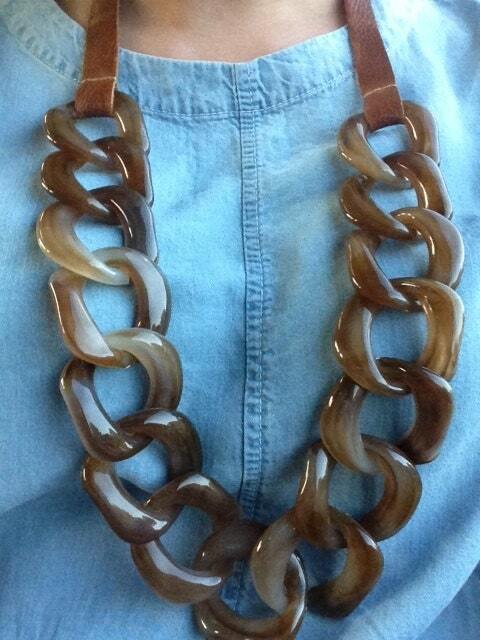 You can dress up a T-shirt and jeans with this necklace. 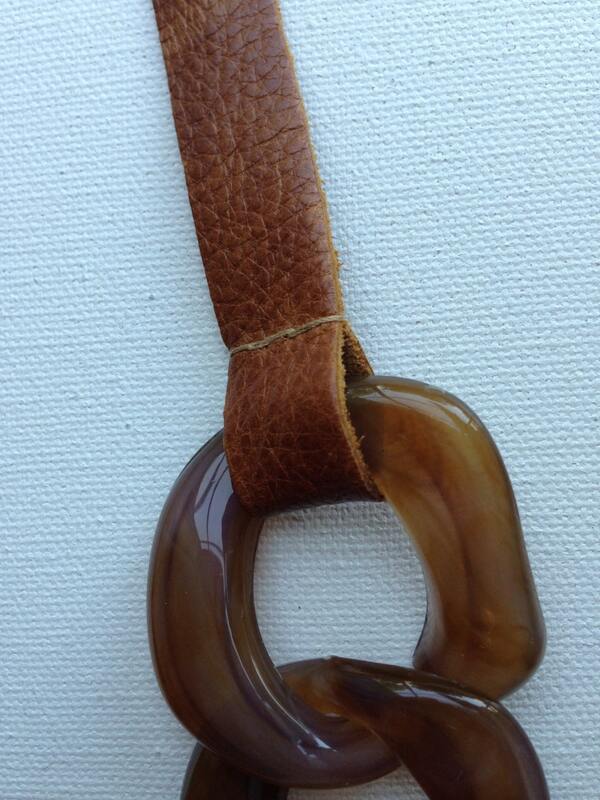 The one pictured has genuine leather in a beautiful camel color. Nonfunctional button closure at back adds charm to this piece. 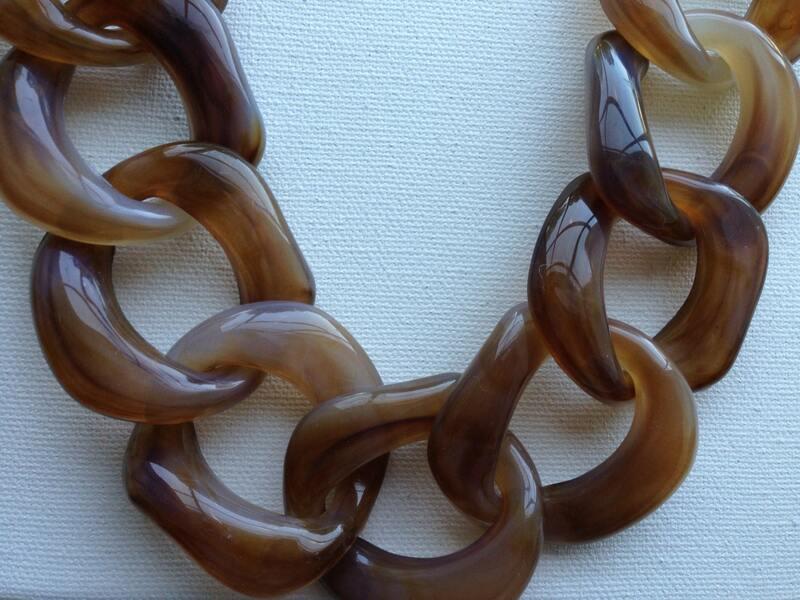 Large chain resin is marled Taupe, Brown, and neutral tones making it even more versatile. The necklace is a total of 16" in length. *Please note, at the time of purchase please indicate if you prefer BLACK or BROWN genuine leather. 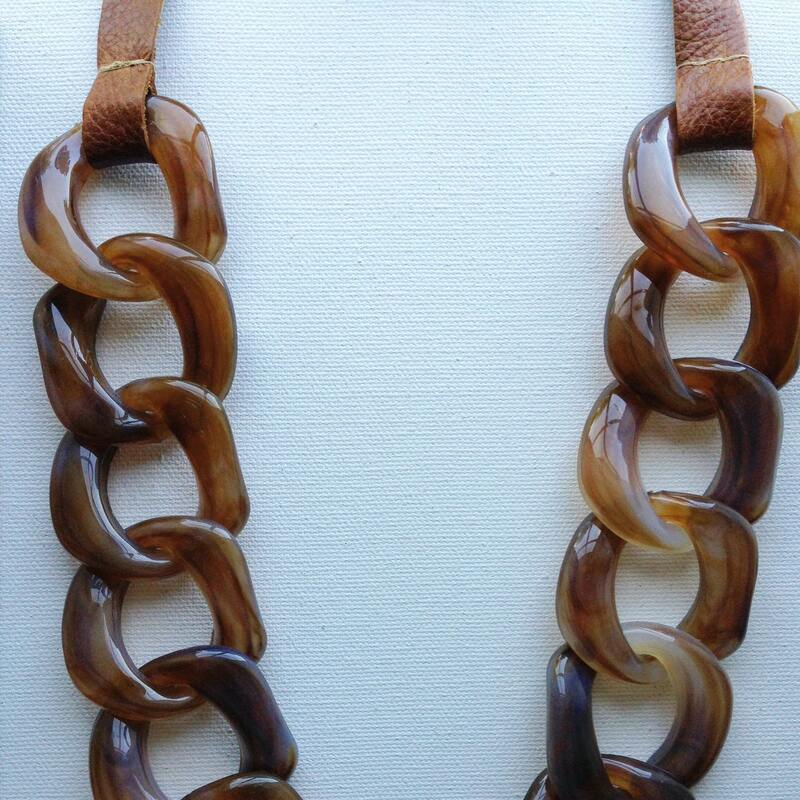 The one pictured was a made to order necklace that we no longer have available. 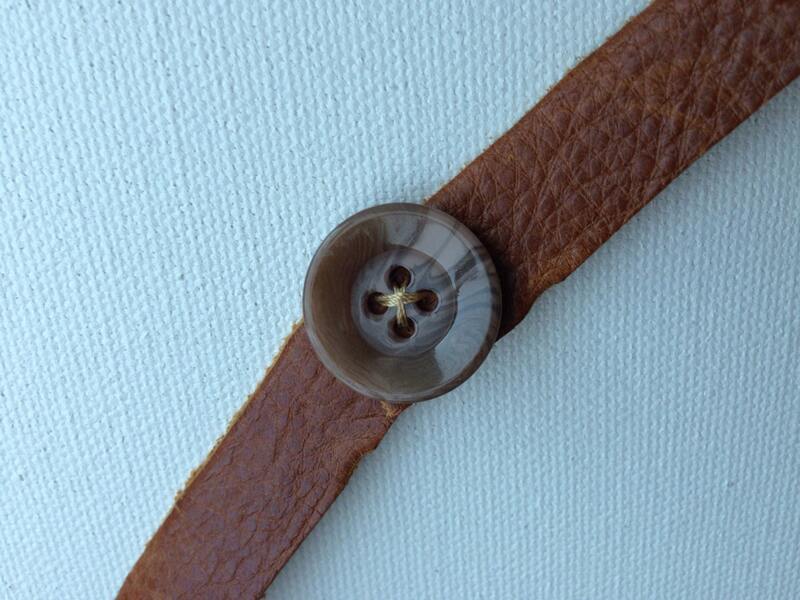 All our pieces are one of a kind so we want to make sure you get exactly what you want.